In the middle of being at AAR, spend the evening with us in a place and space that is decidedly not AAR: Art exhibhitions, drinks, small plates (sweet and savory), and music. On us. 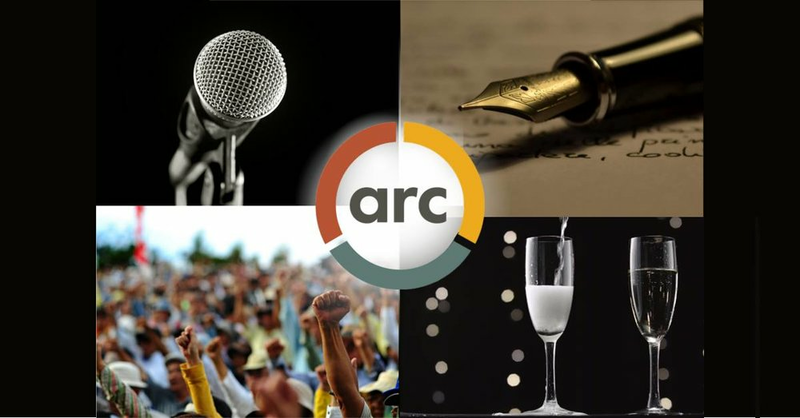 A reception celebrating the renewed life of ARC: Arts | Religion | Culture. Formed in 1962, the organization that became "The Society for Arts, Religion, and Contemporary Culture," is in the midst of an exciting period of growth and transformation. Come celebrate with us in a Denver art gallery as we make a major announcement. Members of the Association for Theopoetics, former SARCC Fellows, and all those who have ever been at ARC, SARCC, or ATRE events are especially welcome. This roundtable session explores liberating theology itself from its emphasis on property and the “ground” that theologians claim. More than criticism, this roundtable also explores the new avenues and approaches that emerge when embracing theology’s innate displacement from the world. The goal is to question the possibility of a radical, liberated, and improper theology. The panel will move through a series of questions during its time in an active conversation among a diverse group of participants. 1: How can any theology prevent the reproduction of harmful economies? We are particularly interested in radical, theopoetic, liberation, and critical race theologies. 2: How can emphasizing it offer a self-negating perspective on the contemporary relation connecting debt, development, and liberation? 3: What new forms of immanent relations among humans (allies and accomplices) are opened by this theological venture? What prevents it from repeating past exploitations? 4: What kinds of communities become opened once theology divests itself of property? 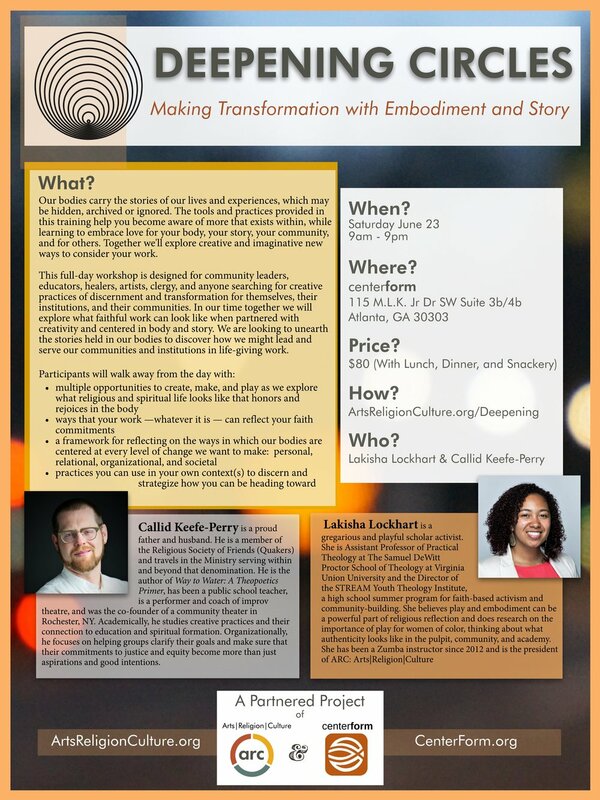 ARC is partnering with CenterForm in Atlanta to offer a 1 Day version of our Deepening Circles training for leaders and artists who want to find ways to emphasize embodiment and the importance of the arts in their work. Contact us for discounts information available for groups (2+) from the same organization and/or to find out about housing options if you're considering coming in from out of town. The musical portion will be performed by Margot Rood, soprano, and Brady Millican on the piano. This event is free and open to the public and will be followed by a reception sponsored by Paraclete Press.